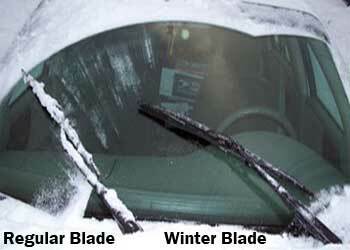 One of the hardest working devices on your car, truck or SUV is the windshield wiper blade. Add to that our dry climate and intense high altitude sun and wiper blades become dry and brittle quickly. Don’t wait for that first Sierra snowstorm to find that you can’t see the road ahead. Invest in new winter blades now and relax knowing you’ll have clear vision when you need it. This fall all Red Check Club members, receive one blade free with the purchase of a blade. Or purchase your front wiper blades and we will take care of the rear. It’s important that you replace those old blades before the onset of weather. Visit Quality Automotive and Smog today. What’s the Red Check Club? The Quality Automotive and Smog red check stands for quality customer service and workmanship. When you join the FREE Red Check Club, you know you are not only getting the best service, you are also getting the best warranty. Our extended 36 month/36,000 mile warranty assures you that if there are problems with the service or parts you received, we will take care of it for up to three years or 36,000 miles. That’s our “Trust” warranty available for every member. Red Check Club members also receive free local towing, a free lift ticket at a local resort of choice and other specials throughout the year. Simple by putting a “Truckee” plate frame on your vehicle and letting others know that you trust Quality Automotive and Smog with all your service needs.